Oops... Product was not found! 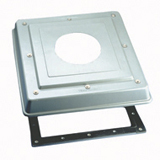 300mm Auto Shutter Straight Extract Roof Fan (1620M3/Hr) has probably been removed or is no longer available.